Herbs are not only an essential factor regarding the success of our cooking outcomes, but can serve a much wider purpose. The Romans already knew that, and used various herbs to improve their mental and physical health. And it is still true today that herbs can facilitate your well-being enormously! Just like our favourite Italian herbs! Find out how they can help you improve your overall health, or simply tackle a persistent cold. Sage has the longest history of being a medicinal herb. Being native to the Balkan and Mediterranean area, Sage belongs to the mint family and has various health benefits. When suffering from a sore throat, digestive problems or menopausal symptoms, Sage could help you through the recovering process. It contains antiseptic and astringent properties while being rich of important vitamins such as vitamin K and various antioxidants. If bitten by an insect, just squeeze or rub the fresh leaves over the bite to sooth the sensitive area. Sage also improves memory which is why it is now tried and tested for treating Alzheimer patients. Like Sage, Rosemary finds its roots in the Mediterranean area, contains a high amount of antioxidants and is well known amongst those who love to cook and eat Italian food. As part of the Mediterranean diet Rosemary, like our other favourite spices, is associated with reducing the risk of heart diseases. Research has also found out that it can stop gene mutations causing and leading to cancer. Basil is the perfect cure when being faced with ageing skin. The high numbers of antioxidants protect the skin cells from free radicals causing premature ageing. At the same time, Basil is rich in anti-inflammatory and antiviral properties which help prevent diseases such as osteoarthritis. 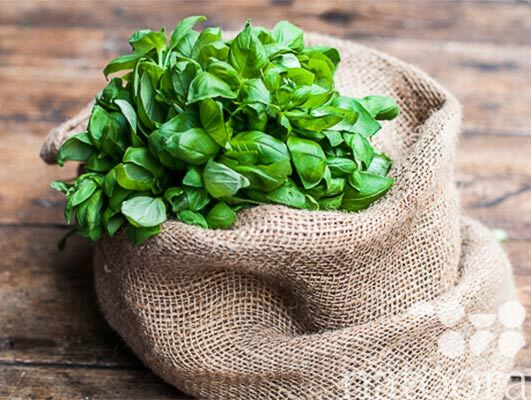 Apart from its healing powers, Basil is a versatile herb that can be added to an endless variety of Italian dishes. Bought fresh, it is the perfect summer herb to stay fit and healthy. Thyme is not only ideal for Italian cooking, but also superb when treating infections as it kills MSRA bacteria which cause staph infections. As an ingredient in mouthwash, Thyme also helps healing gum infections or wounds from teeth removals. Used from the outside, Thyme tea can cure athlete feet while accelerating the healing process of illnesses when taken from the inside. Being one of the strongest and most effective antibiotics and antibacterial on a very broad spectrum, Oregano is a real health booster. So, if you ever suffer from infections such as cough, fever, congestion or body ache, maybe try some Oregano next time? A couple of teaspoons with your soup can already help you recover from an illness. Lavender is one of the herbs that can be found in very different forms and shapes. Be it a relaxing herb, in lotions or teas, a fragrant aromatic or an ingredient for gourmet cooking or baking. As diverse as its physical appearance is also its healing power. Treated for centuries as an aphrodisiac which could inflame passion, it is now used to treat various different symptoms and illnesses. Having been named one of the most useful essences for the relief of anxiety and stress, it is also extremely effective when treating aching or stiff muscles. In Britain, it is also listed as a treatment for colic, depressive headaches and menopause migraines. 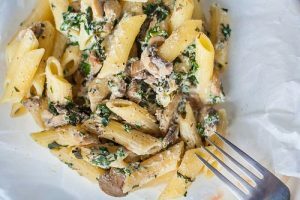 If you want to learn how to make great dishes with these healthy and delicious herbs, then why not join us on one of our Italian cooking holidays? To find out more download our brochure here or contact our fabulous team of experts today!